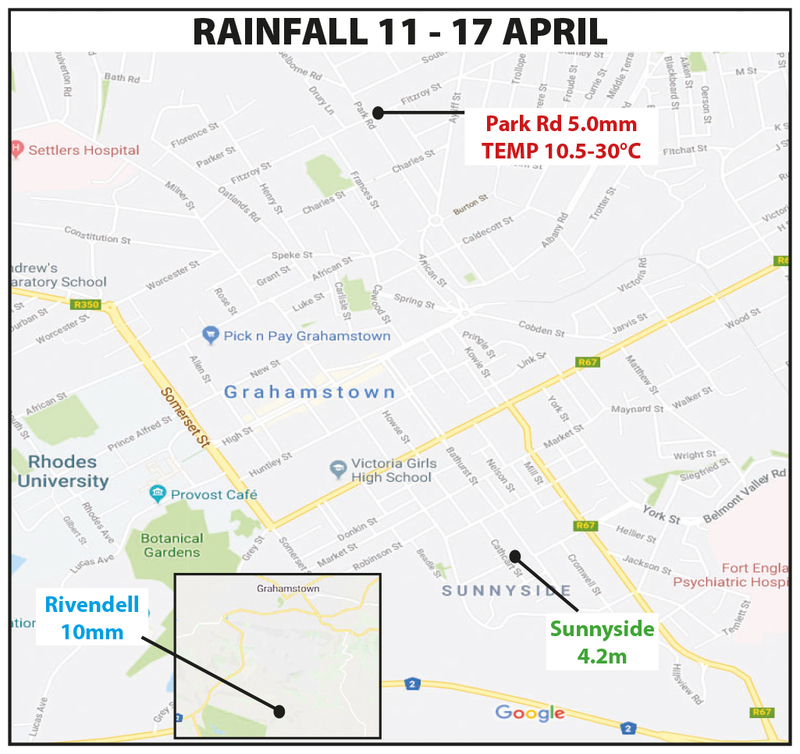 In a tight and entertaining game on Lower field on Saturday 6 April between the hosts St Andrew’s College and Grey High School, the First Team game ended 17-17, after a try to Grey levelled the scores with not much time left on the clock. St Andrew’s making a massive defensive hit against Grey. 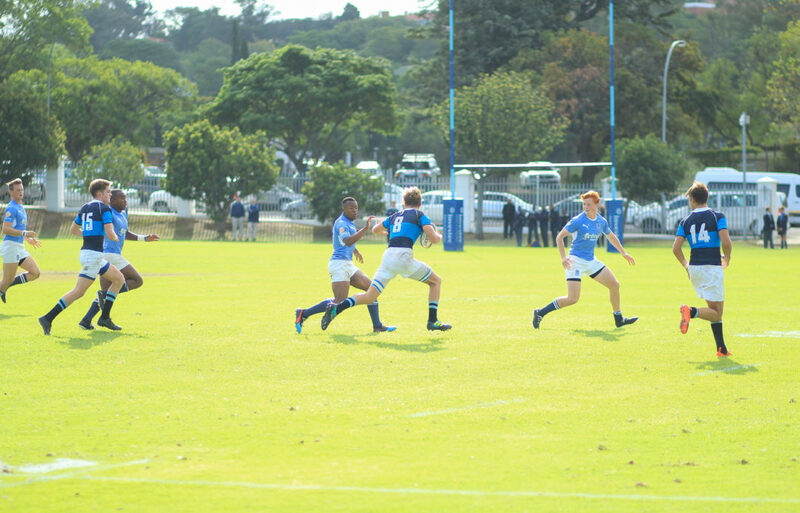 It was St Andrew’s College that opened the scoring in the first half with a penalty to Guy Rushmere after a collapsed maul by Grey, after a solid drive by the St Andrew’s forwards. 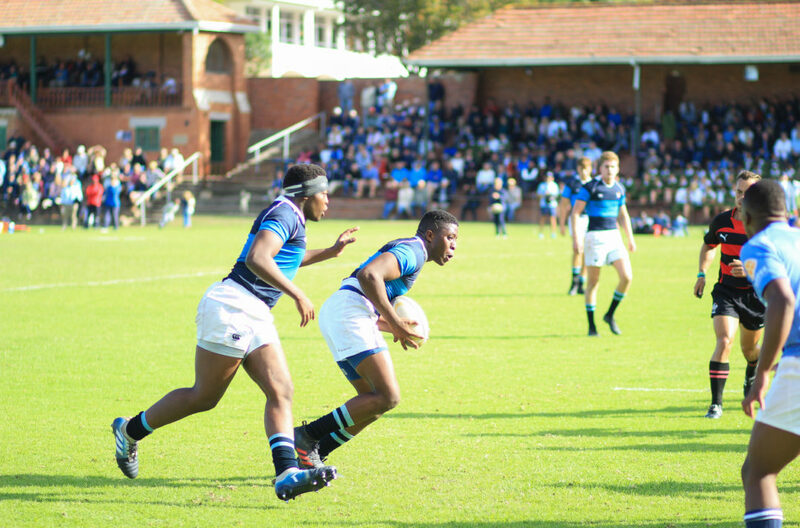 Despite St Andrew’s having the upper hand in the possession and territory stats, they were not able to capitalize and it was Grey that responded with two tries before half time to take the lead 3-12. 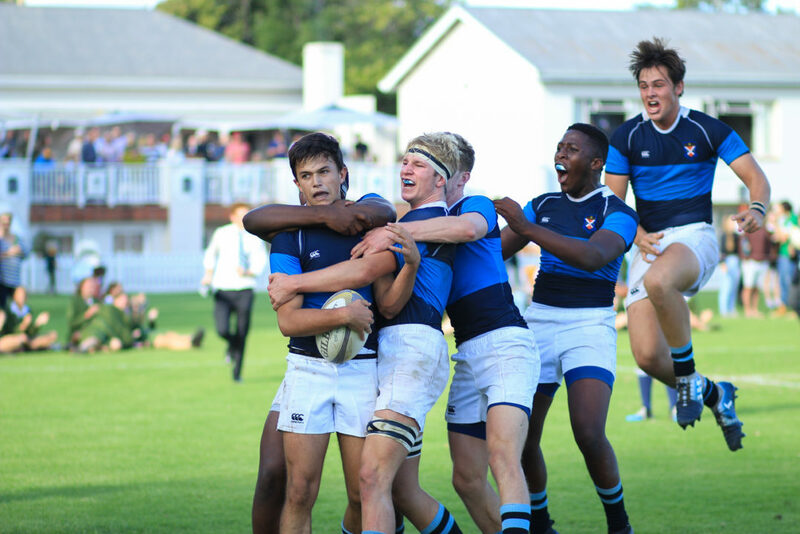 In the second half, St Andrew’s were able to capitalise on the possession that they had and with fifteen minutes left on the clock found themselves 17-12 in front, after converted tries to inside centre Miles Dankwerts and flyhalf Guy Rushmere. A costly penalty, which also resulted in a yellow card, saw Grey again on the attack, and eventually scored to tie up the scores 17 all. 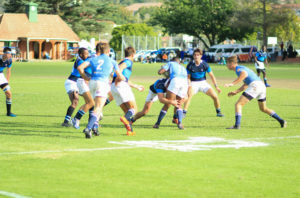 Grey were unable to convert the try and the game ended in a draw. The St Andrew’s team will be disappointed that they did not turn their possession and territory into more points having dominated for much of the game. The St. Andrews College twins running into contact. 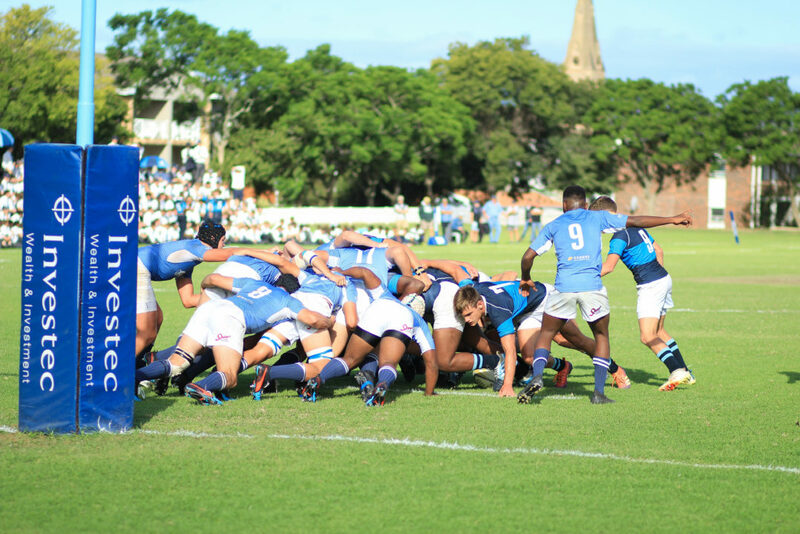 Grey High’ holding off St. Andrews College during scrum time. 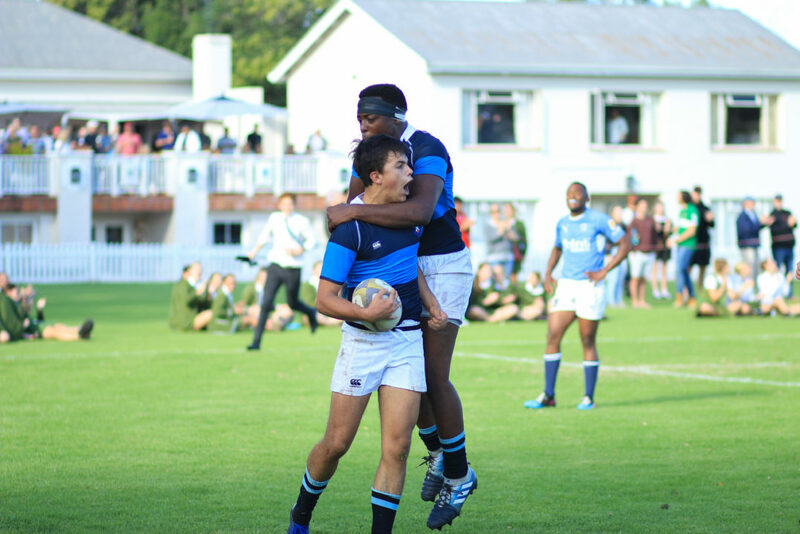 The St. Andrews College Inside centre and prop celebrating as they reduced the try deficit.